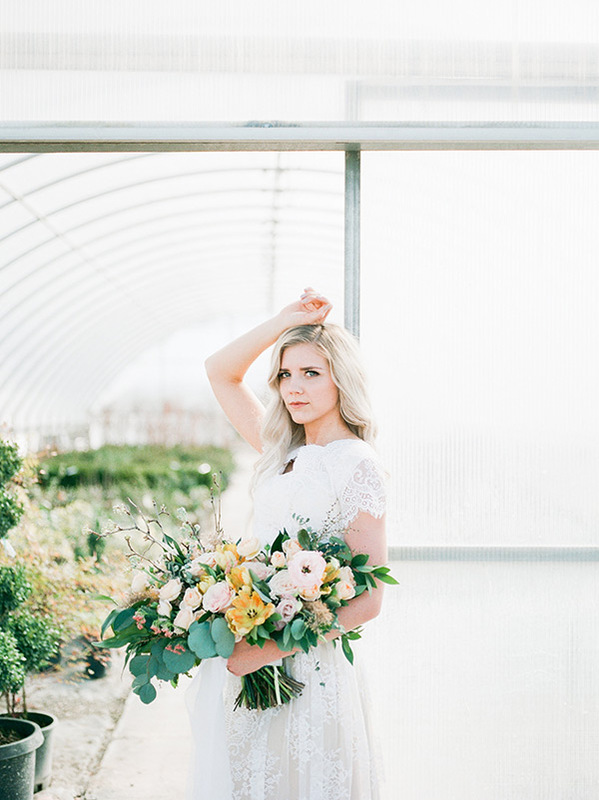 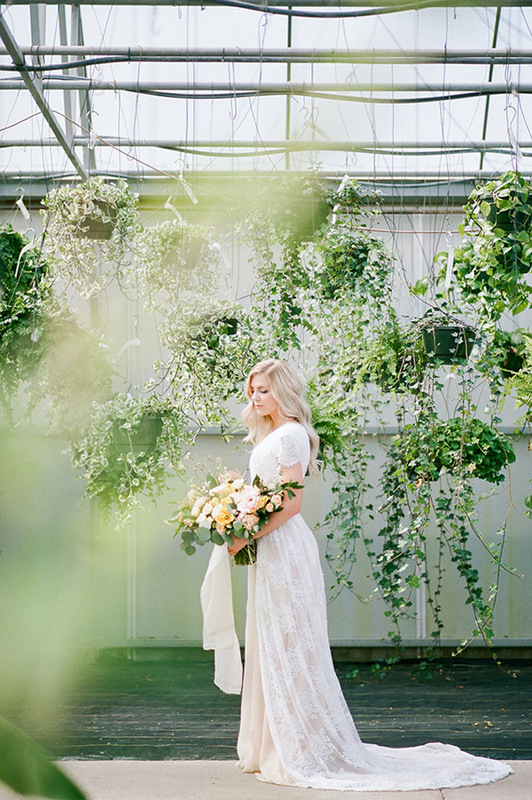 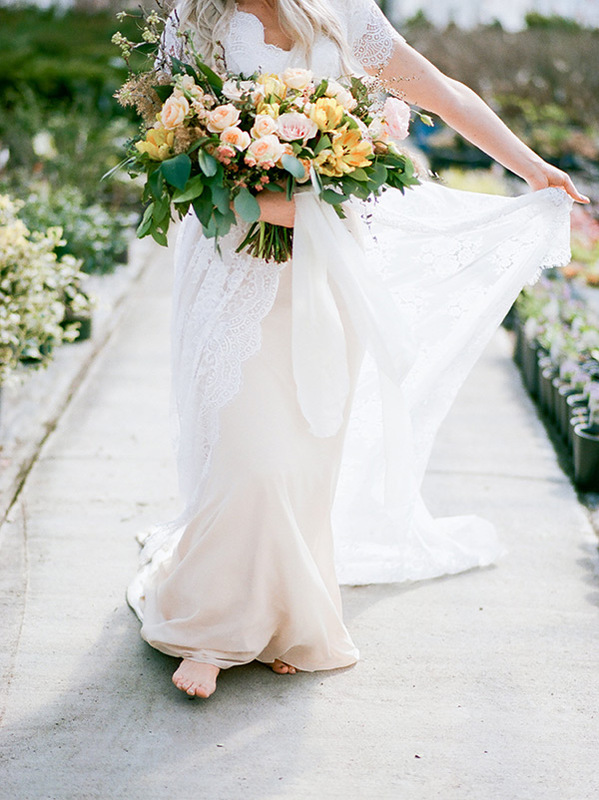 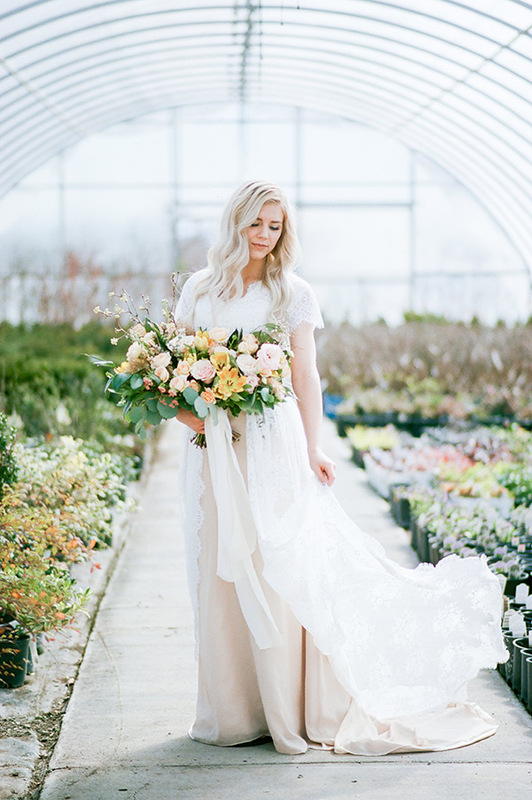 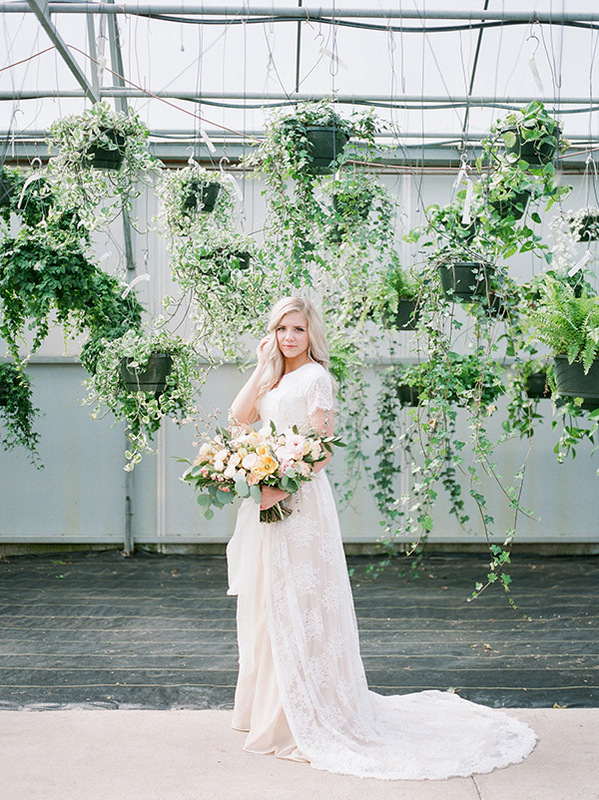 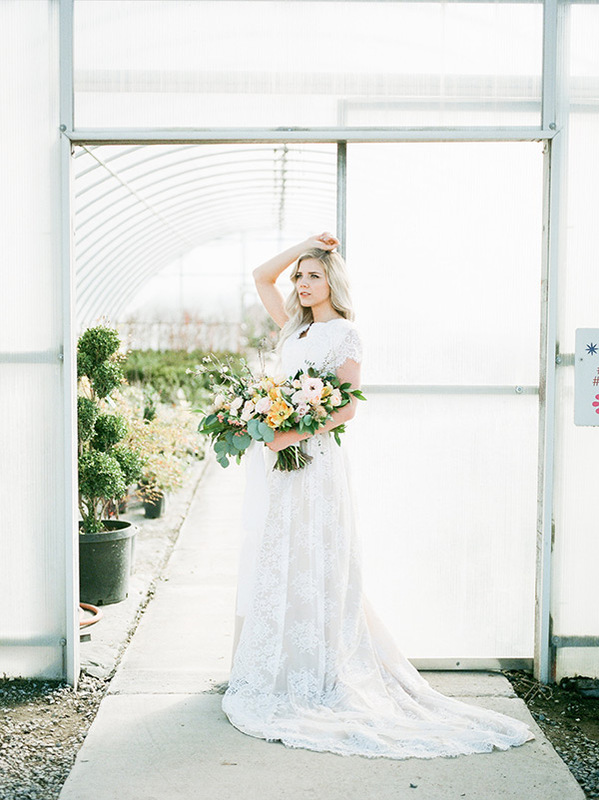 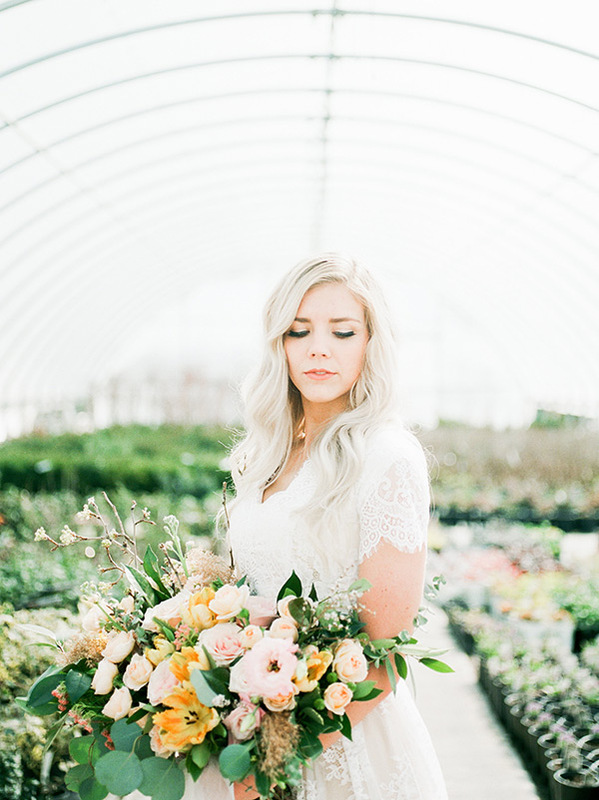 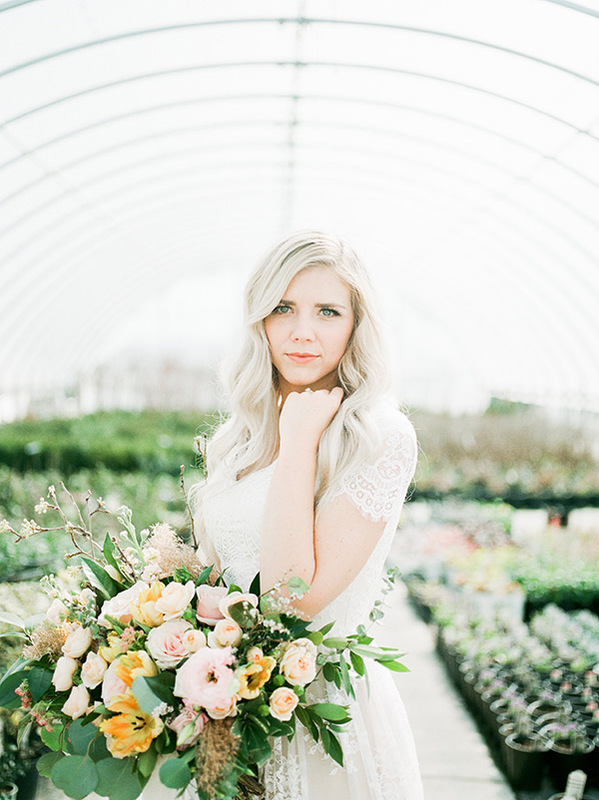 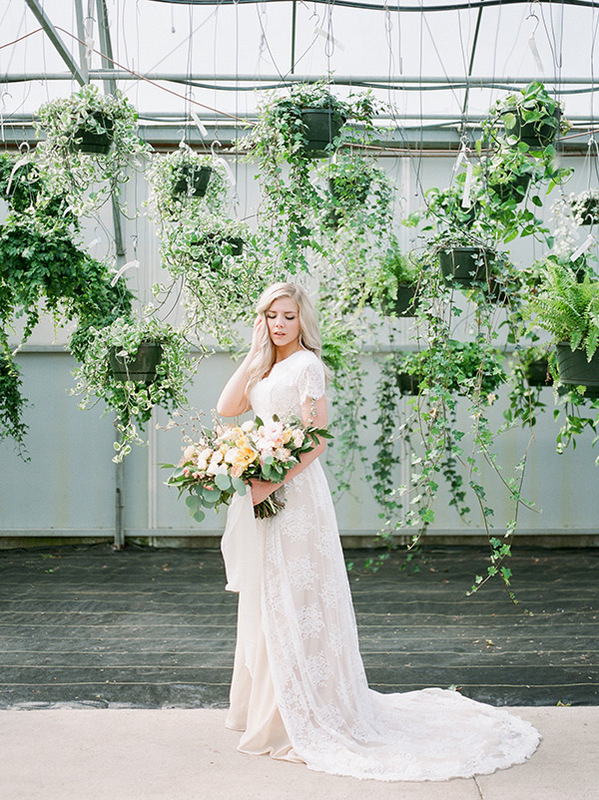 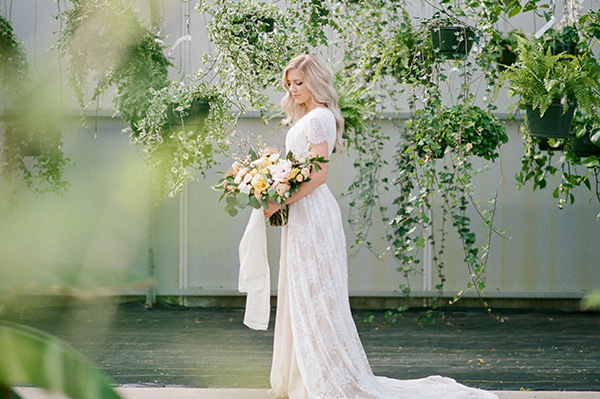 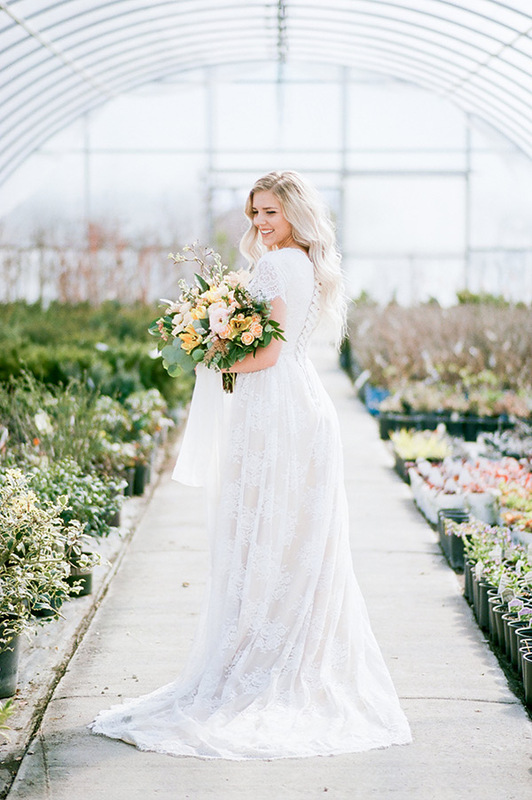 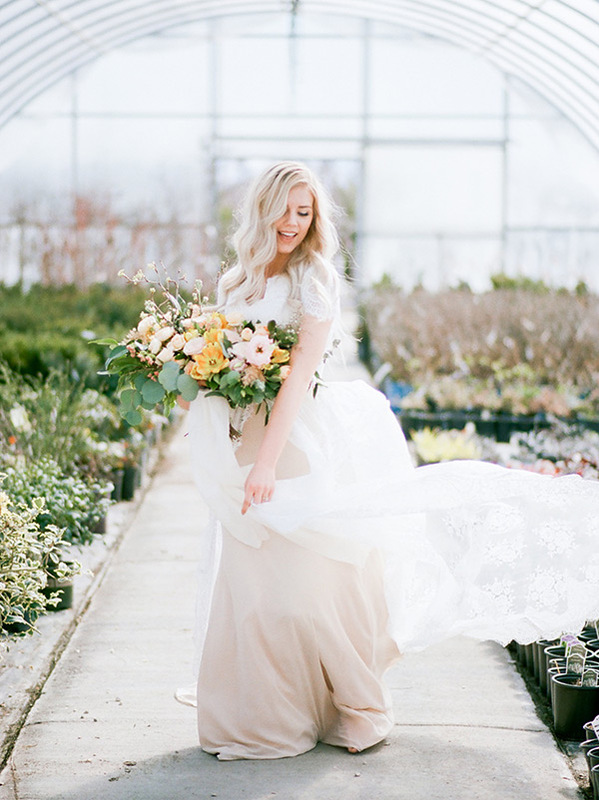 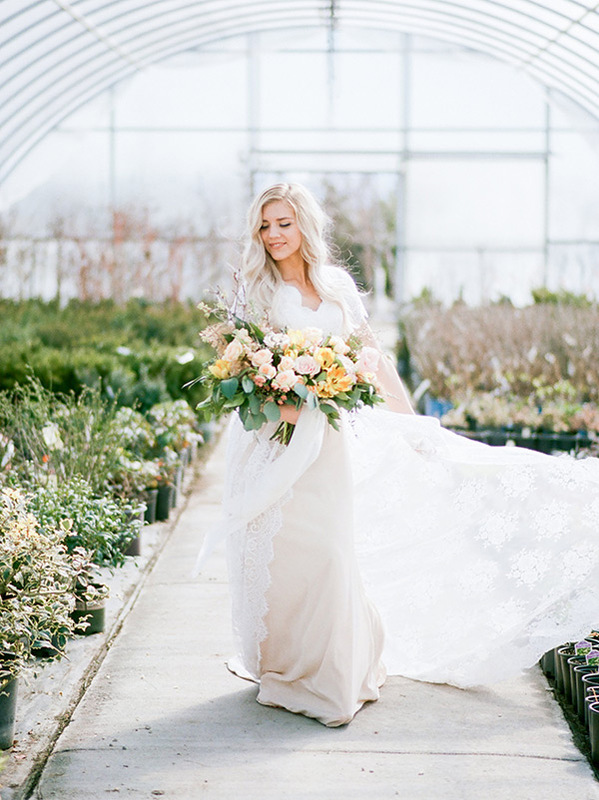 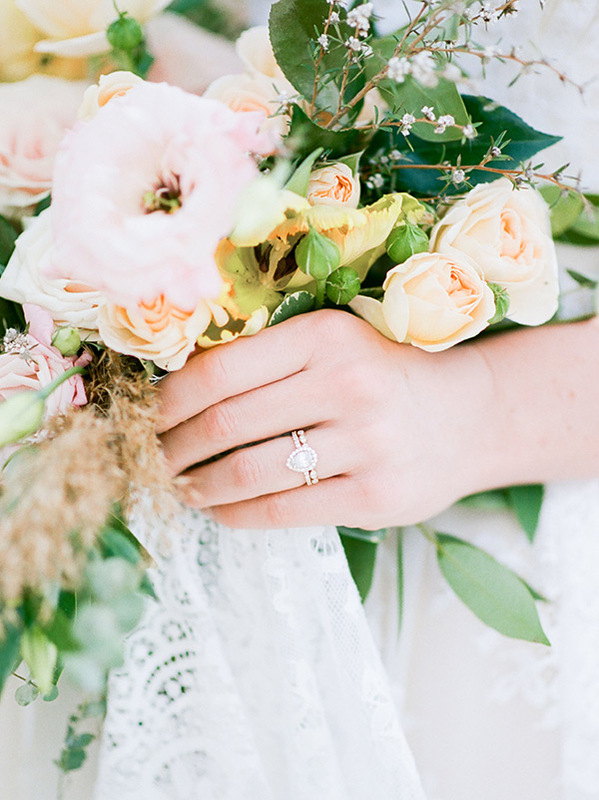 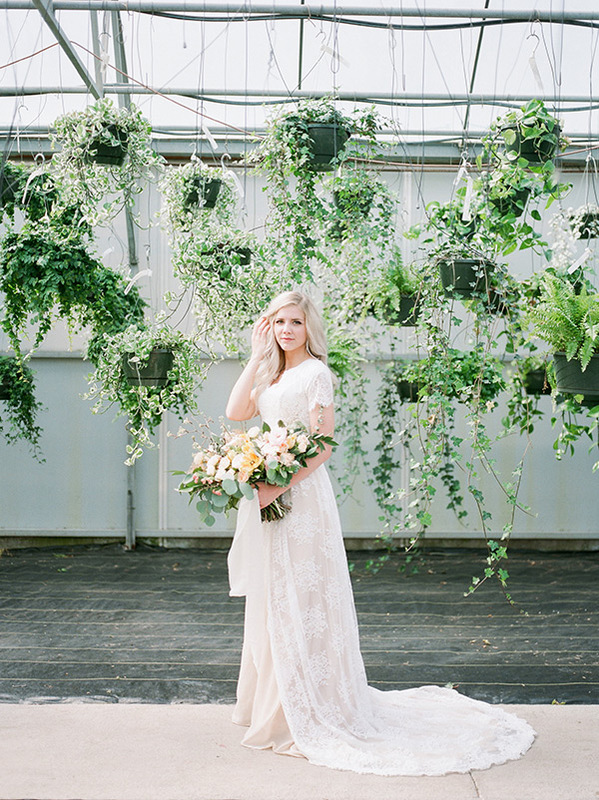 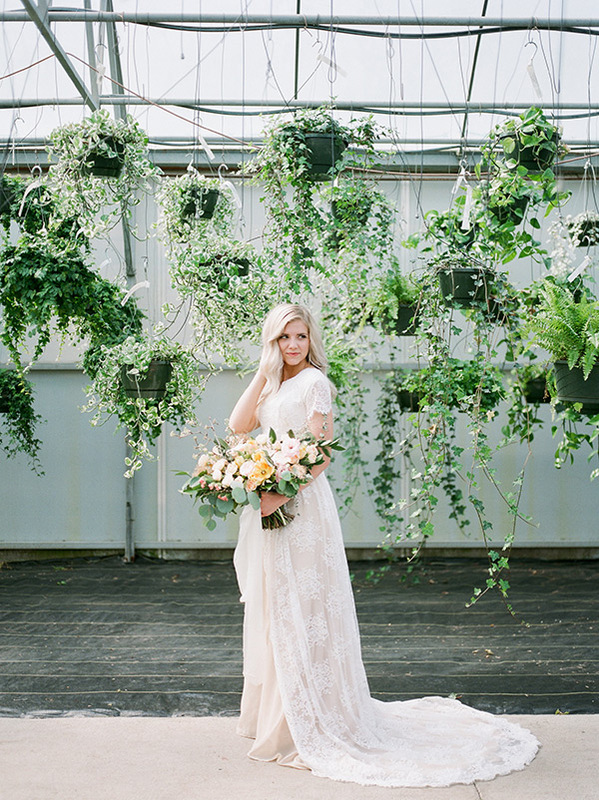 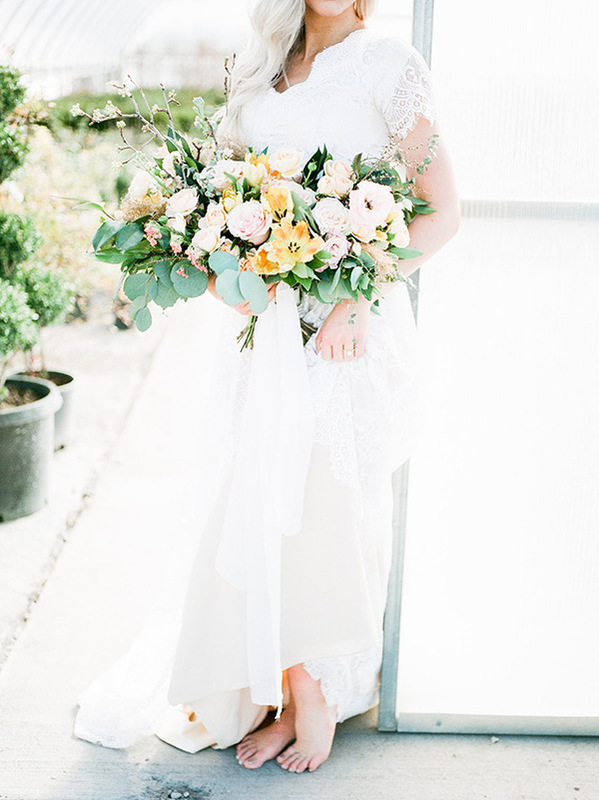 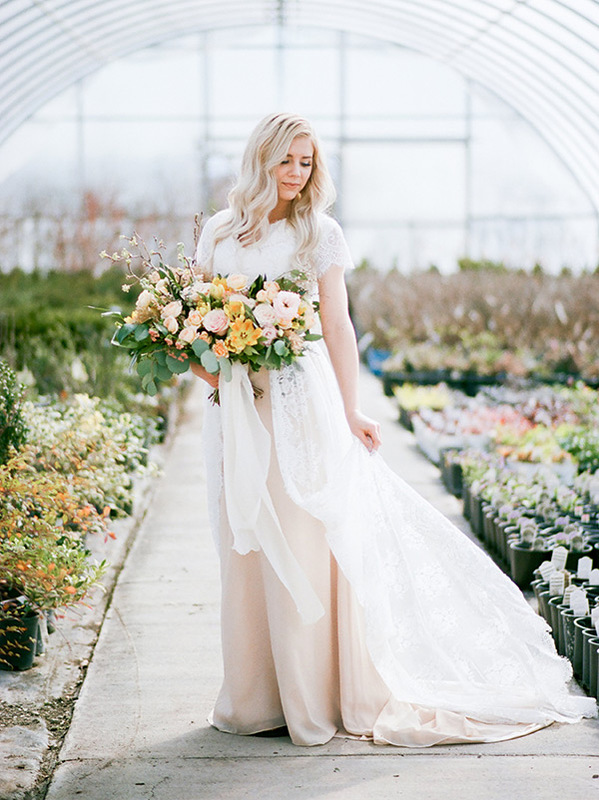 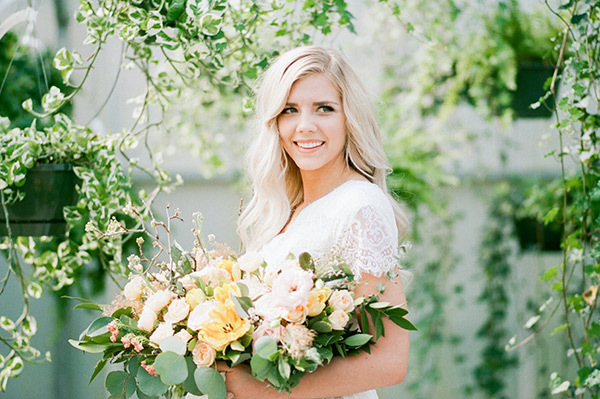 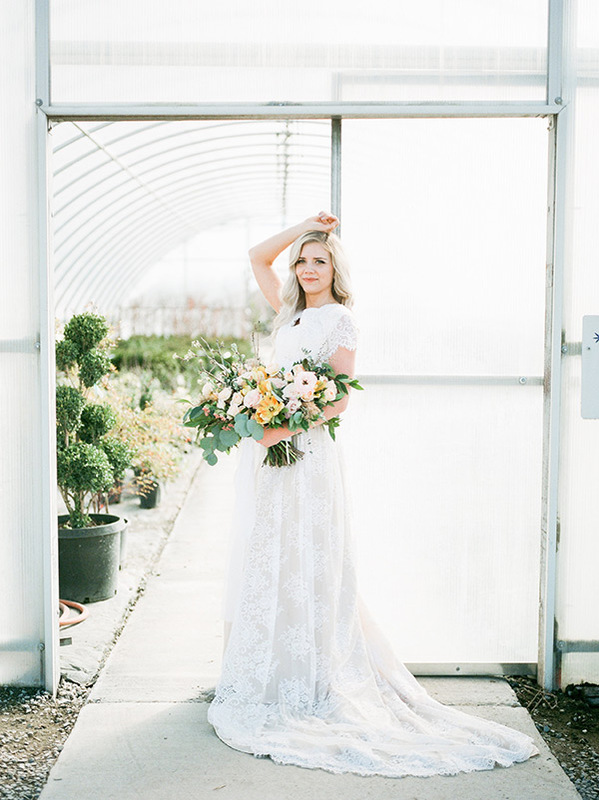 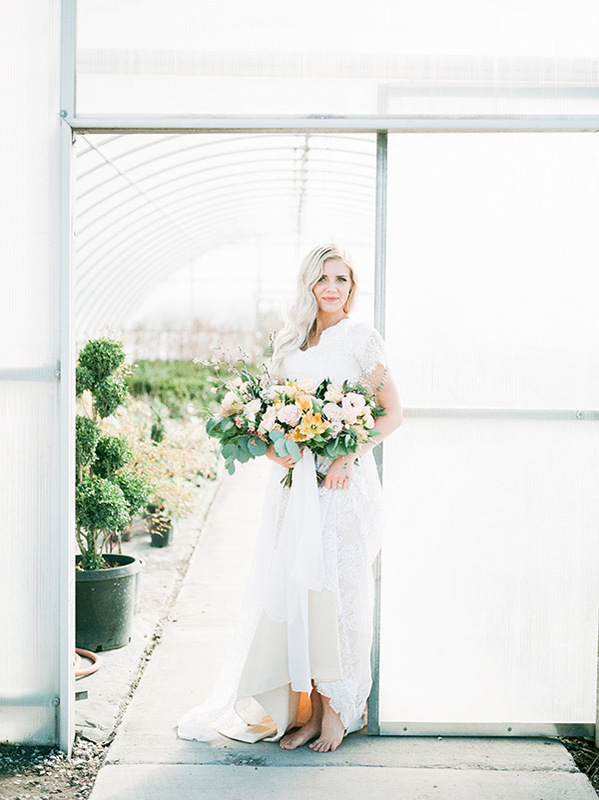 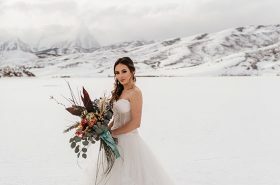 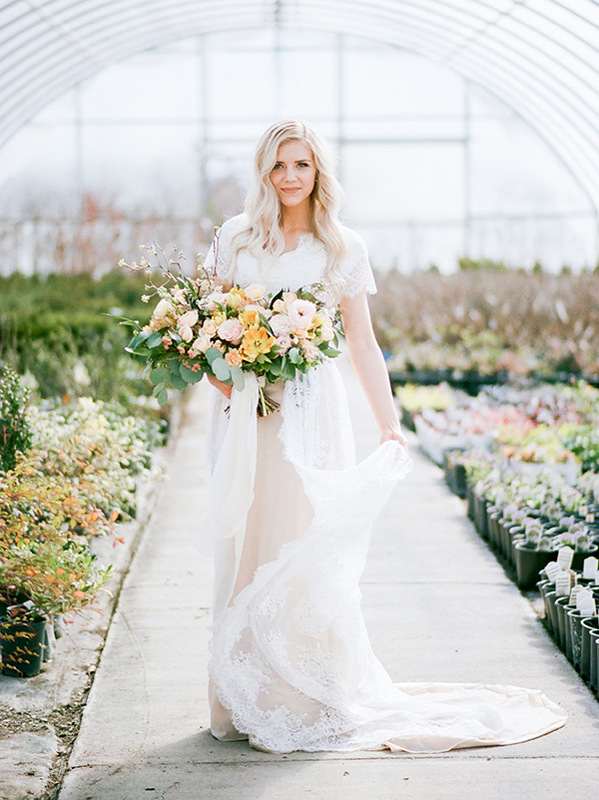 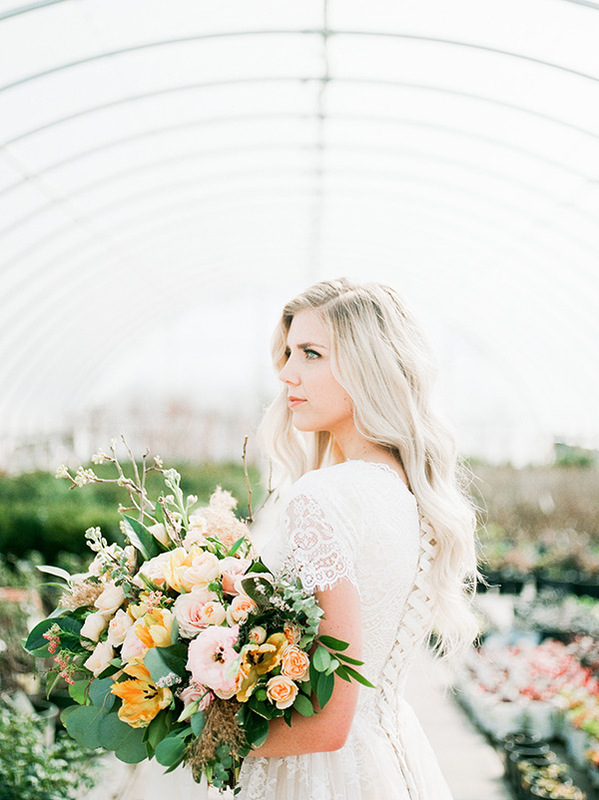 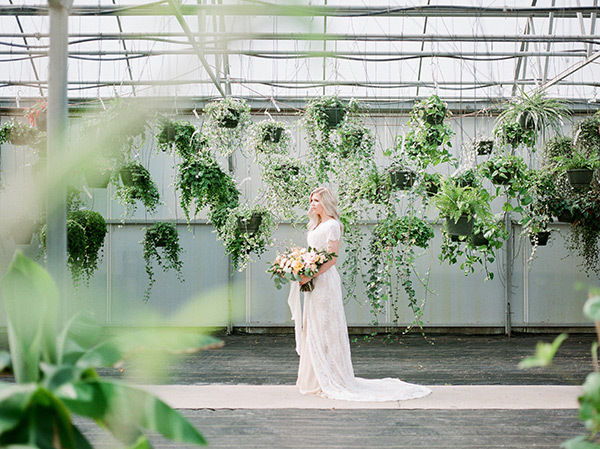 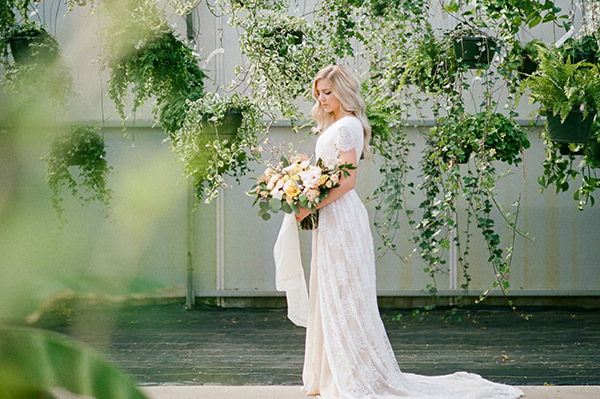 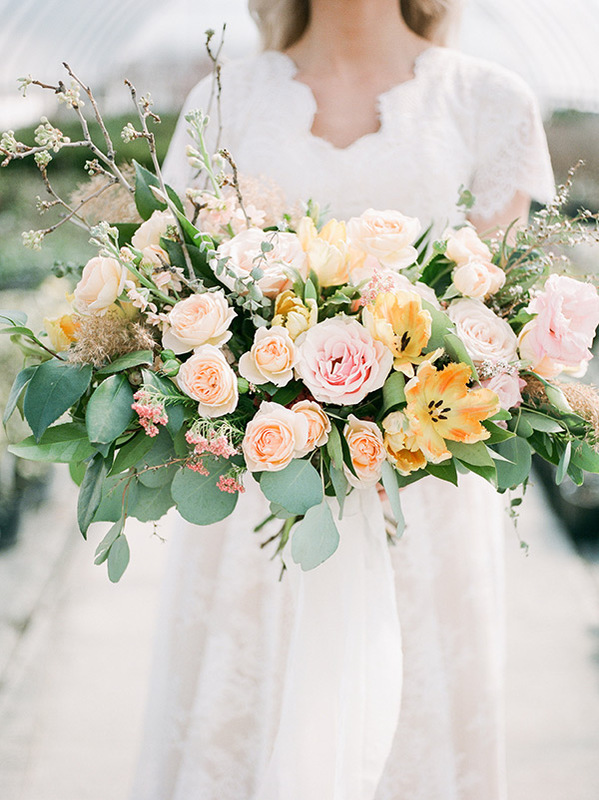 The bouquet by Bushel and A Peck Floral Design is pure sunshine. 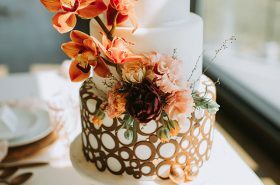 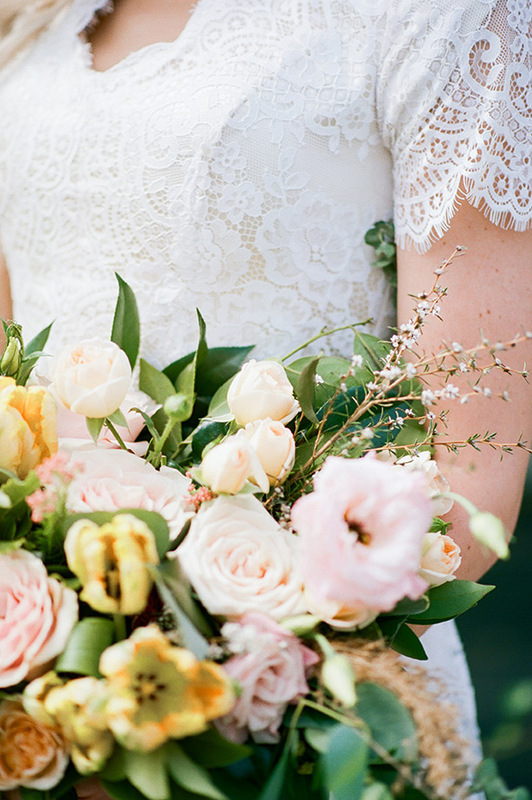 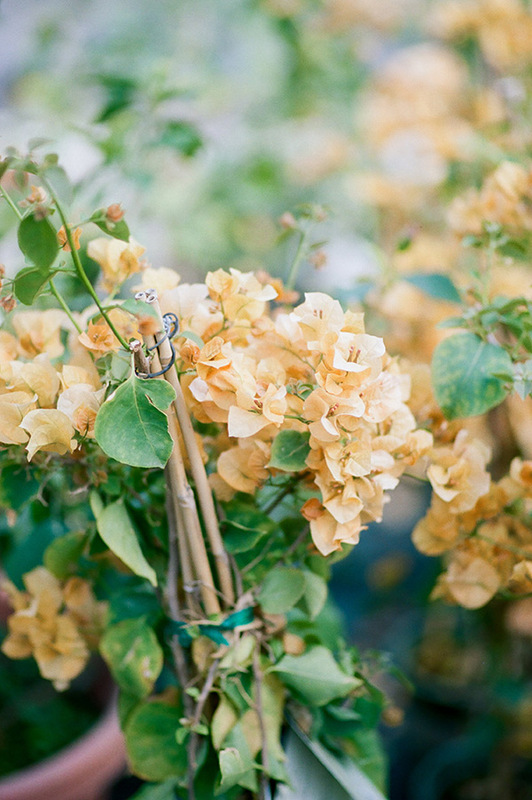 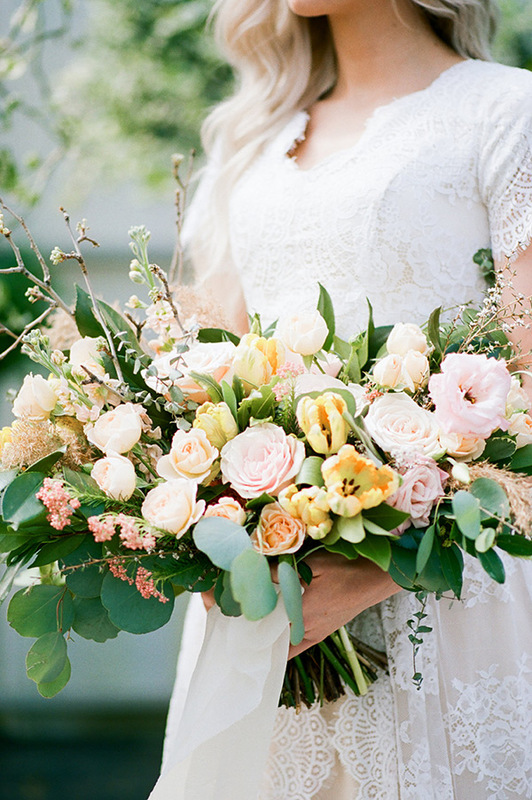 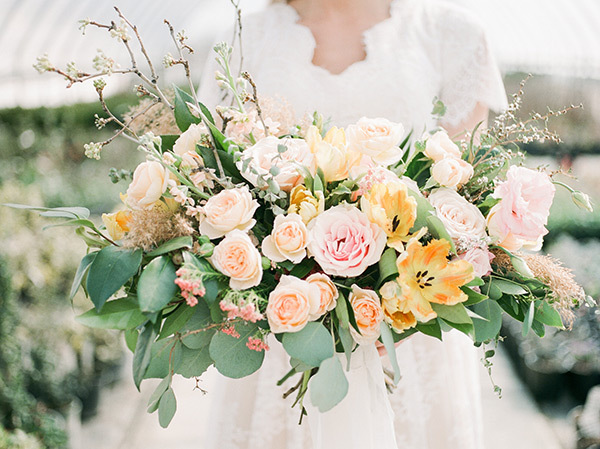 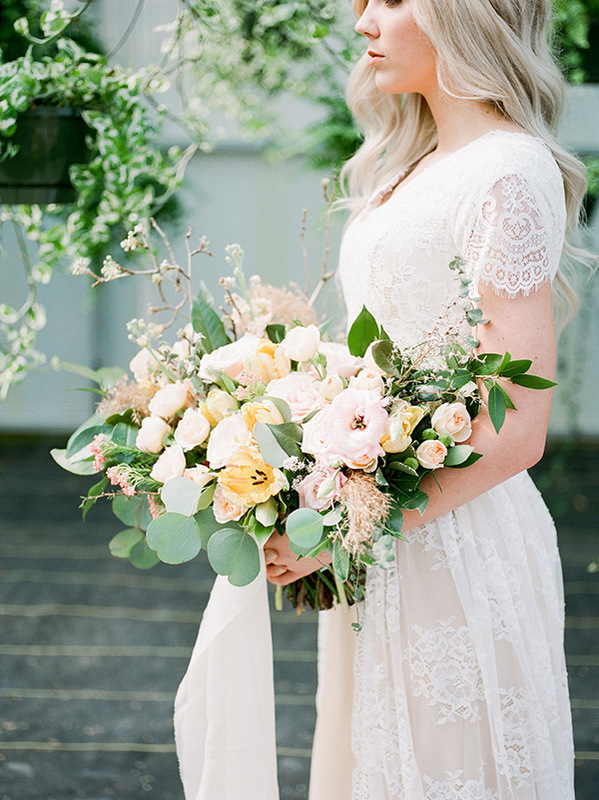 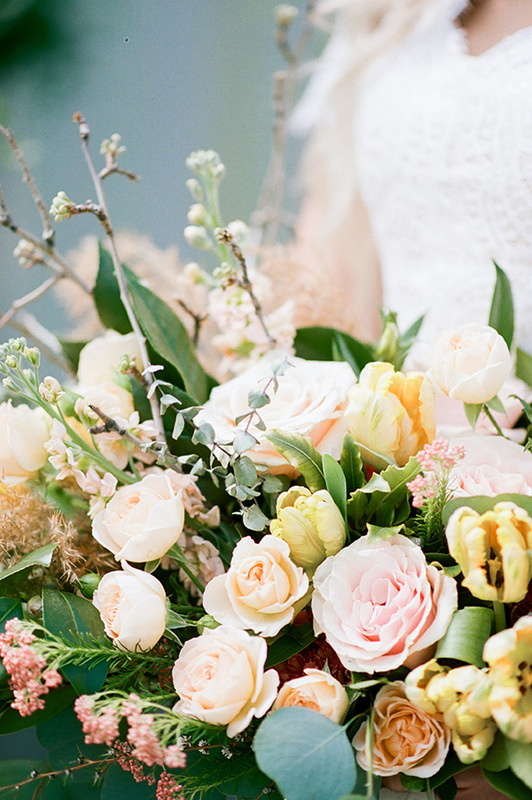 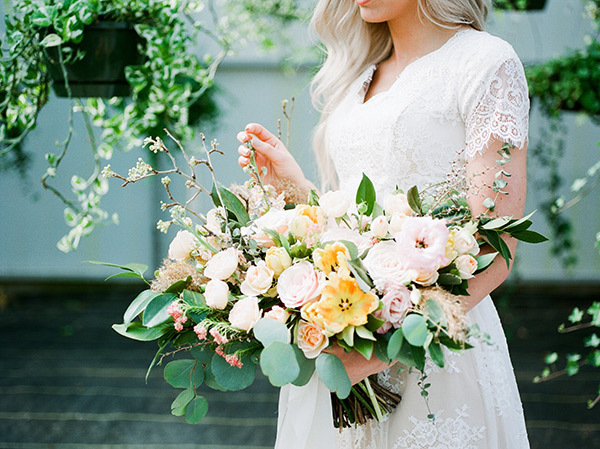 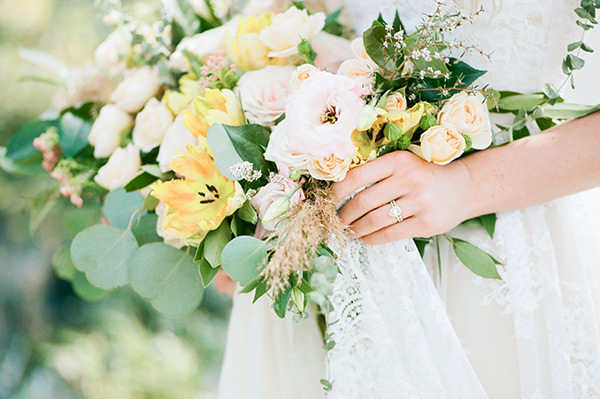 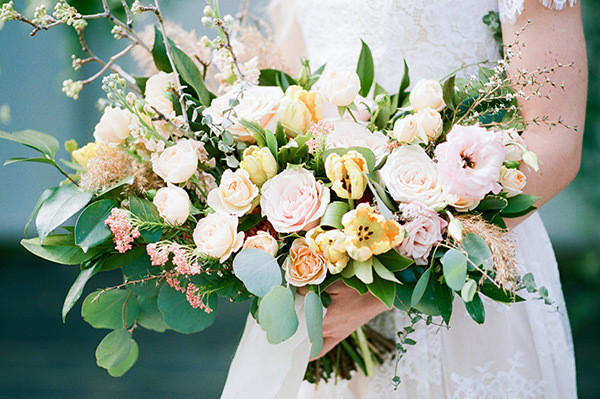 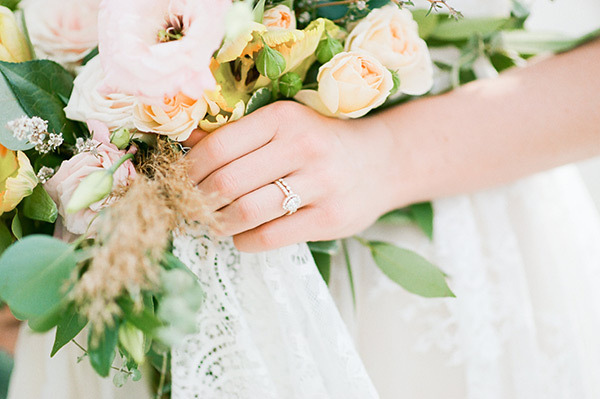 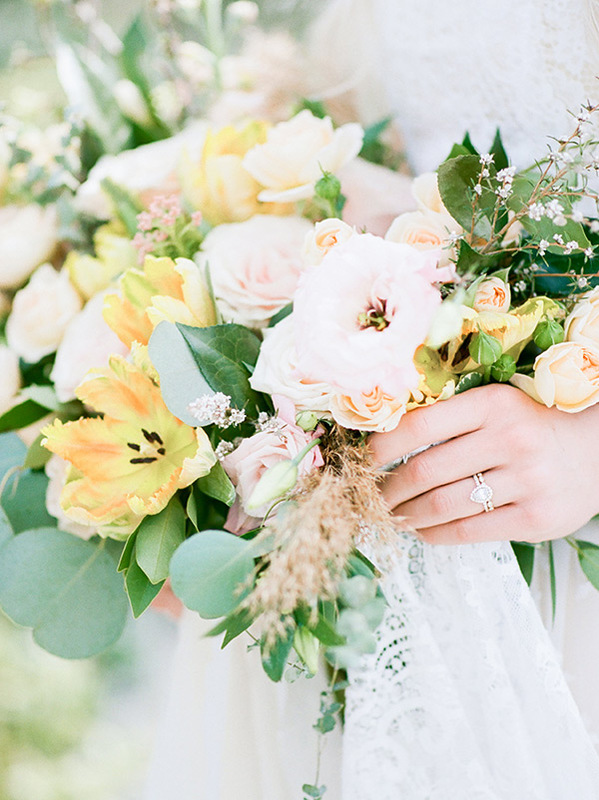 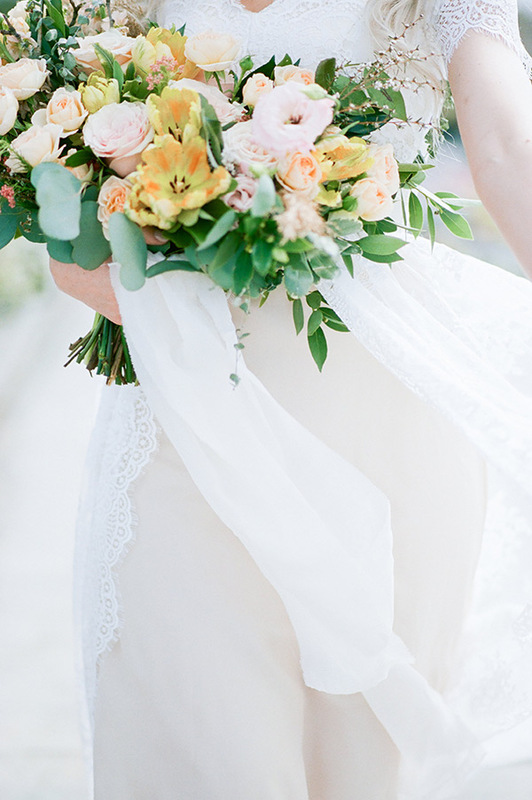 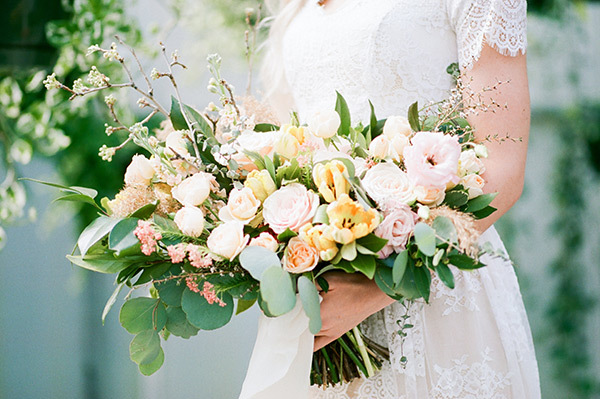 We love the big, full blooms and the color combo of yellows, pinks and oranges. 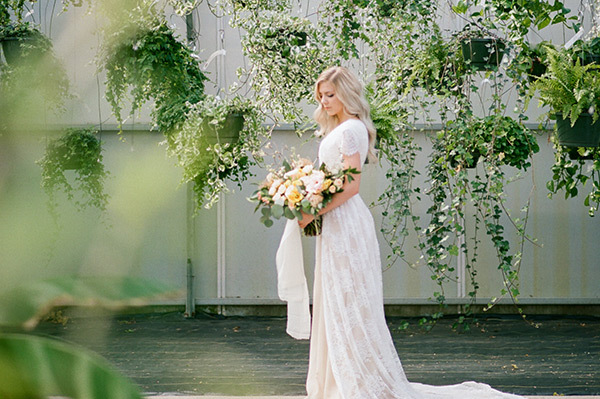 It’s so fabulously fresh, flirty and feminine. 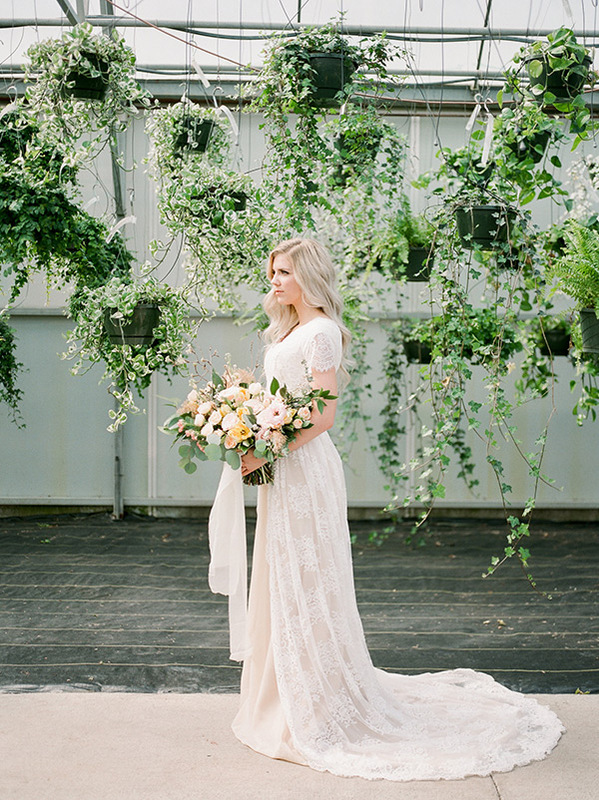 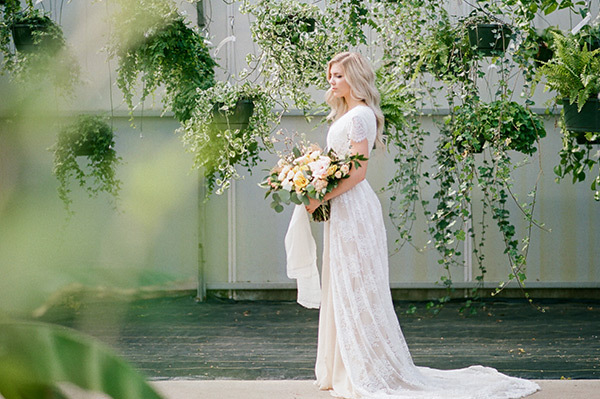 This Elizabeth Cooper Design gown is one of our absolute favorites. 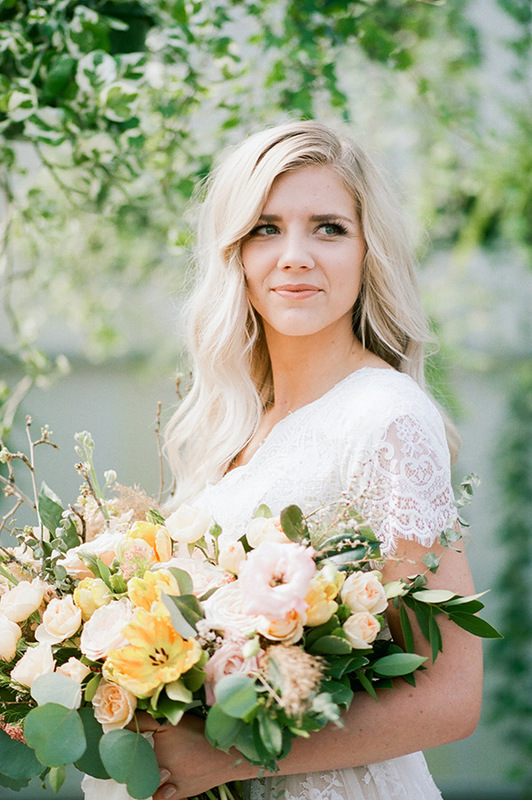 We heart the scalloped sleeves and neckline. 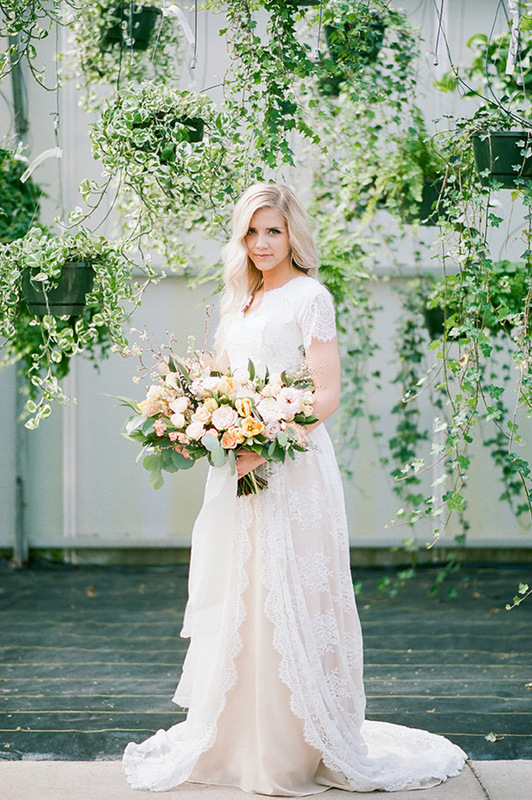 And the way the lace skirt splits open down the front? 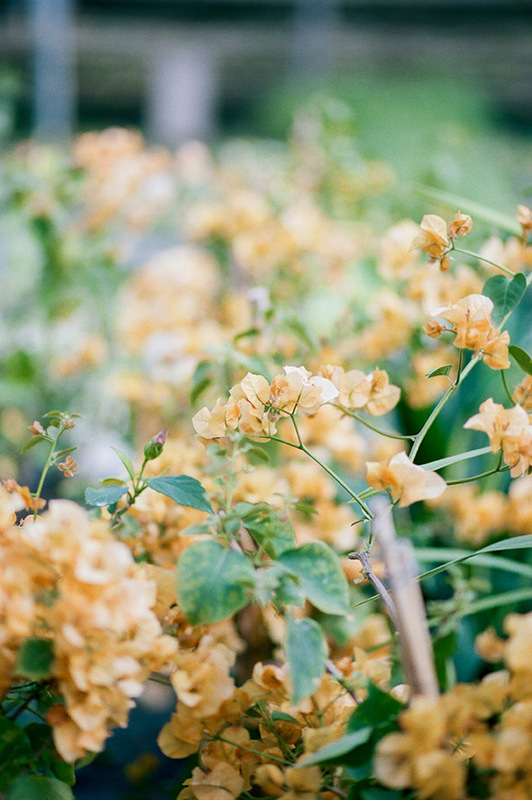 Too good. 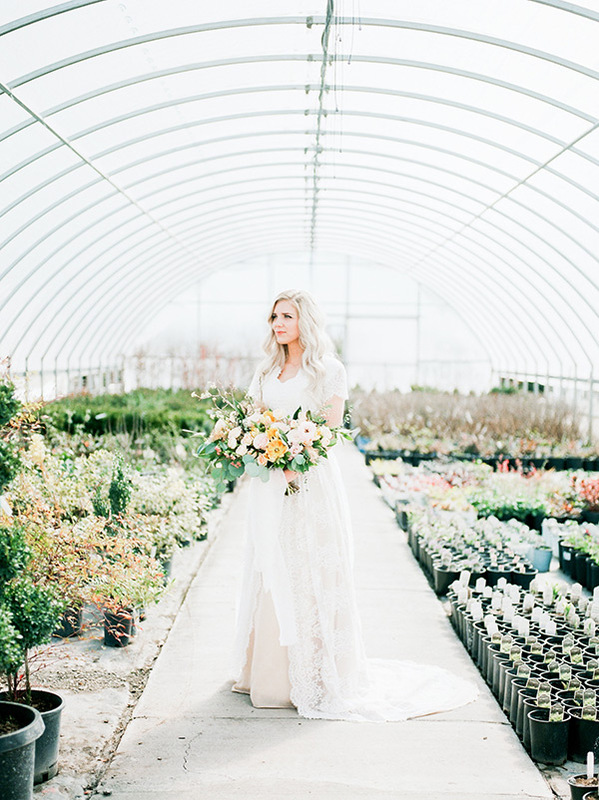 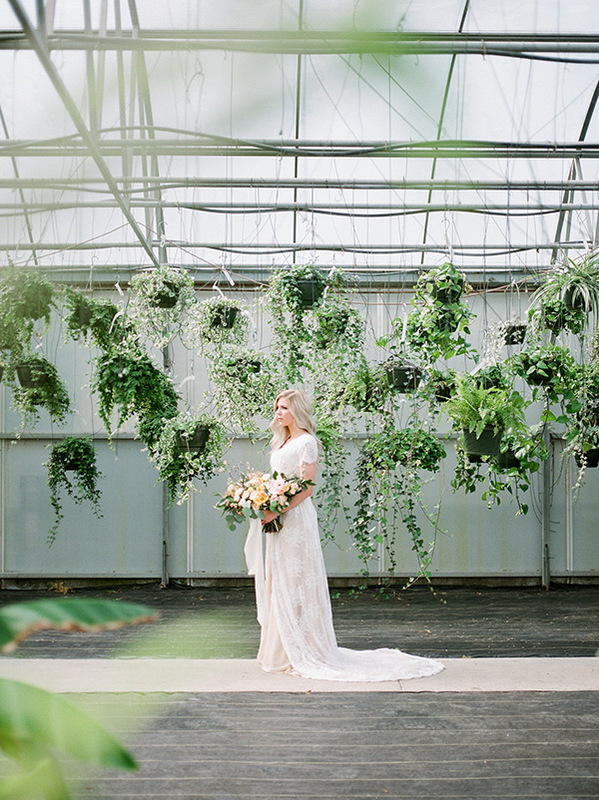 And it’s all captured picture perfectly by photographer Brooke Bakken. 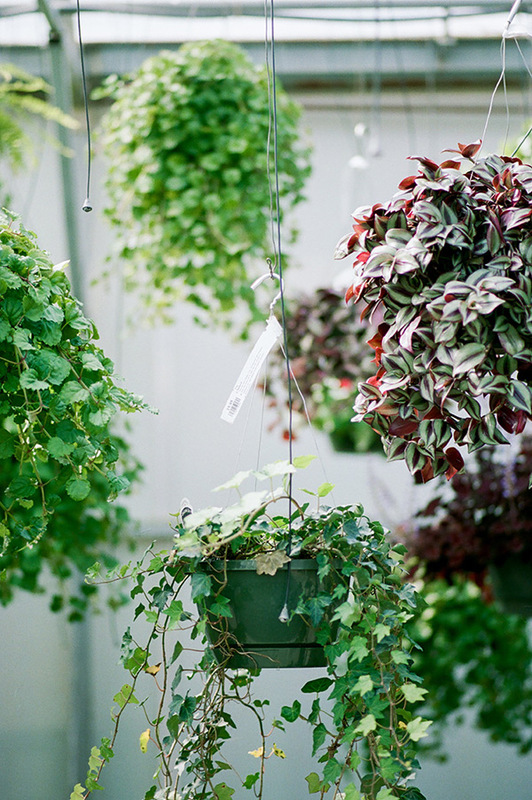 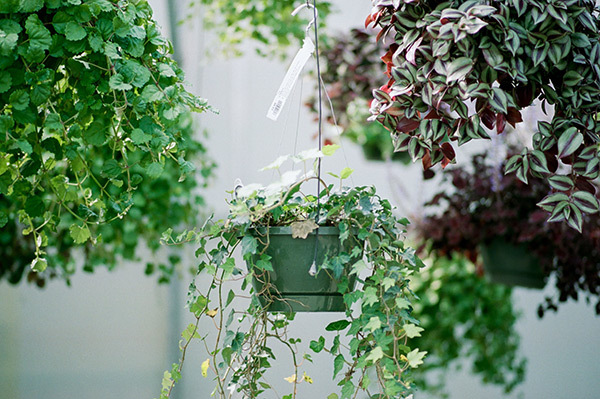 Now plant yourself down and scroll awhile.